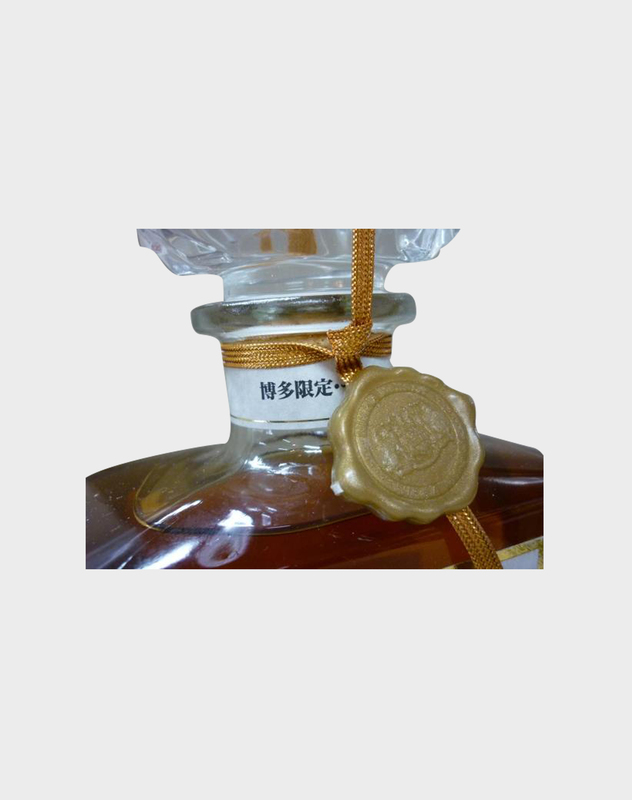 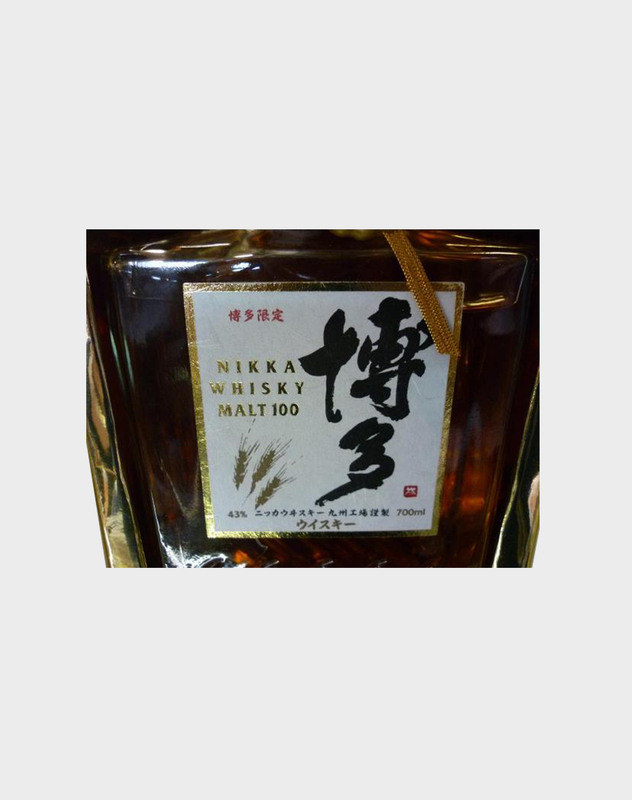 Nikka is one of our favorite Japanese companies. 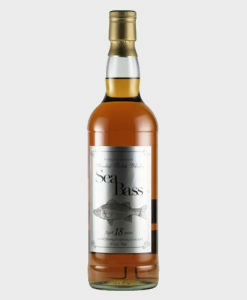 Not only does it make world quality whisky, its foundation story is also so intriguing that it is the subject of a television drama. 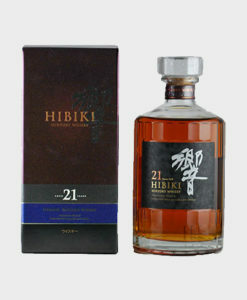 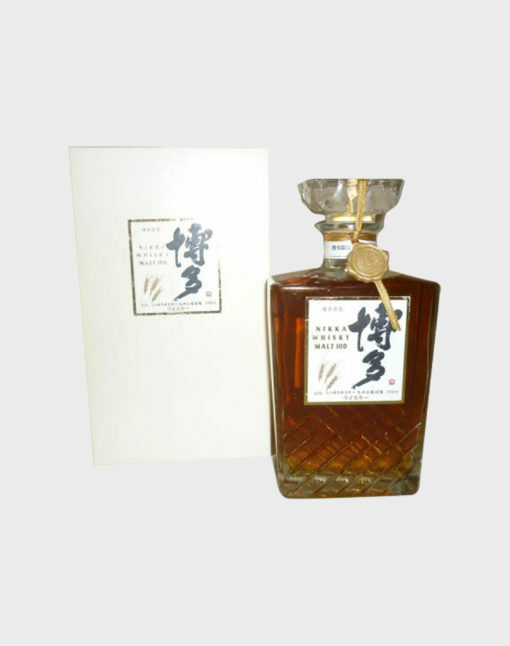 Most famous for its Yoichi, the Taketsuru, and its Black Nikka, from time to time, Nikka releases special bottles like this one. 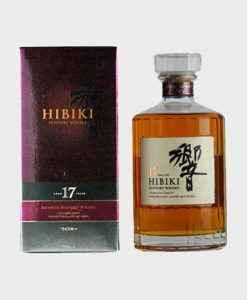 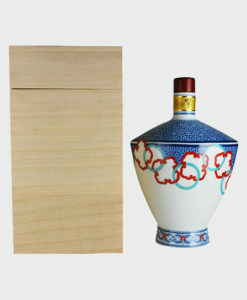 The Nikka Whisky Malt 100 is presented in an adorable bottle with original box and neck ring. 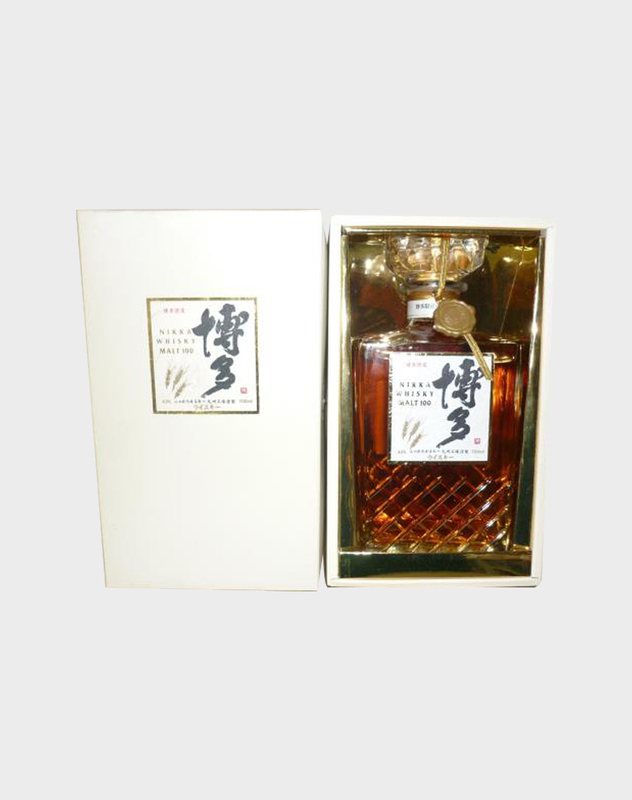 As such, it is rarer than your average Nikka bottle, and it goes without saying that it tastes as great as you would expect a product from Nikka to taste.